One of the World Book Day 2014 Authors After graduating with a first class degree in advertising, graphic design and illustration in 1997, Jim Smith was spotted by the owner of a small coffee shop chain and brought in to fill the walls of their flagship store with his paintings. It was a three month contract; fourteen years later, Jim is head of design at Puccino's Worldwide Ltd, now an international coffee shop franchise with stores in the UK, Europe and Egypt. In the meantime he's illustrated kids' food packaging for M&S, drawn cartoons on the sides of PJ smoothies, created in-store graphics for Orange phone stores, designed book covers and branded a New York based Iced Tea company. In 2010, Jim launched the hugely successful Waldo Pancake range of stationery and gift products, now sold in the UK, Australia, Singapore, Europe and the US. 'I am not a Loser' by Barry Loser, the first of a series of children’s books 'spellchecked' by Jim, was published in 2012, having already sold rights to nine countries. The sequel, ‘I am Still Not a Loser’ was the winner of the Roald Dahl Funny Prize 2013 and declared the funniest book for children aged seven to fourteen. This brand new series from Jim Smith, creator of the one and only Barry Loser, scores top marks for nutty – and non-stop – surreal humour, and for its fabulous black and white illustrations. Our hero is Brian Lampost, ordinary boy who through a freak accident involving a wheelie bin, a TV and a lightning storm, is zapped into the future as a sort of super-hero (he’s half boy, half rat, half TV) there to do battle with robot grannys amongst other adventures. Don’t whatever you do make this bedtime reading – it will provoke that uncontrollable hysterical giggling in kids that terrifies all adults, but that proviso aside, it’s an absolute winner. ~ Andrea Reece Stop press... Jim will be appearing at the Cheltenham Festival on Sunday 11th October. Click here to find out more. Further information from the Cheltenham Festival. February 2015 Series of the Month - Barry Loser What to say about the Barry Loser series to recommend it to the uninitiated? Well, if burps, characters with smelly breath, bogey-eating schoolboys and poo jokes make you double up, then these books are absolutely for you. Barry Loser is a real winner as far as six to eight year olds are concerned, even the most reluctant of readers. Divided into short chapters and full of Jim Smith’s distinctive cartoon style illustrations the books are easy reads that deliver every time. In this new story Barry’s baby brother Desmond Loser the Second is making his life difficult, while outside the home Barry is set on getting his hands on a can of the new drink, Tears of Granny Laughter. Jim Smith writes juvenile farce par excellence – ‘salute the keelness!’ as Barry would say. ~ Andrea Reece Stop press... Jim will be appearing at the Cheltenham Festival on Sunday 11th October. Click here to find out more. Further information from the Cheltenham Festival. This is the 5th madcap book in the Barry Loser series, perfect for fans of Diary of a Wimpy Kid, Mr Gum and Tom Gates. All of our Lovereading4kids reader review panel, made up of children love this series, and some said it is even better than its rivals! Be careful where you read this series for both the story and the illustrations will guarantee uncontrollable hysteria throughout. The Barry Loser notebooks are perfect reads for the more reluctant 7+ reader with plenty of pictures & humour to keep reader interested. The second in this series, I am still not a Loser, deservedly won the Roald Dahl Funny Prize 2013. Barry Loser is back giving another hilarious glimpse into his busy life and, above all, into his ongoing campaign to prove that he is a really cool guy. It’s harder than ever for Barry to be cool when his mum becomes the new voice and face of the supermarket. But Barry is not one to give up easily and he’s certain that he is now over being a loser forever. Can this really be true? Jim Smith’s illustrations capture all the loser jokes brilliantly. The third book in this funny madcap must-read series for 7+ boys and girls. If you liked The Diary of a Wimpy Kid, you'll love this! Winner of the Roald Dahl Funny Prize 2013 for the funniest book for children aged seven to fourteen. Barry Loser perfectly combines the random inner thoughts and outer goofiness of a schoolboy set on being the ‘keelest’ kid in school, but thwarted by friends, enemies and his gran. Full of crazy cartoons, chaotic situations and hare-brained schemes, this diary will make you laugh out loud, cringe and snigger, all at the same time! Shortlisted for the Waterstones Children's Book Prize 2013 Diary of a Wimpy Kid fans will love how the ill-named Barry Loser copes with the ups and downs of school life. Told in words and pictures, Barry’s way of telling the story of how he survives in school and in life is a triumph of how a cool kid can outsmart the bullies. The Lovereading comment: This is a madcap must-read for 7+ boys. I Am Not A Loser is the first of three notebooks belonging to Barry Loser. Follow Barry as he tries throw off his loserness, take revenge on the terrible Fronkle-burping Darren Darrenofski and finally become a winner. 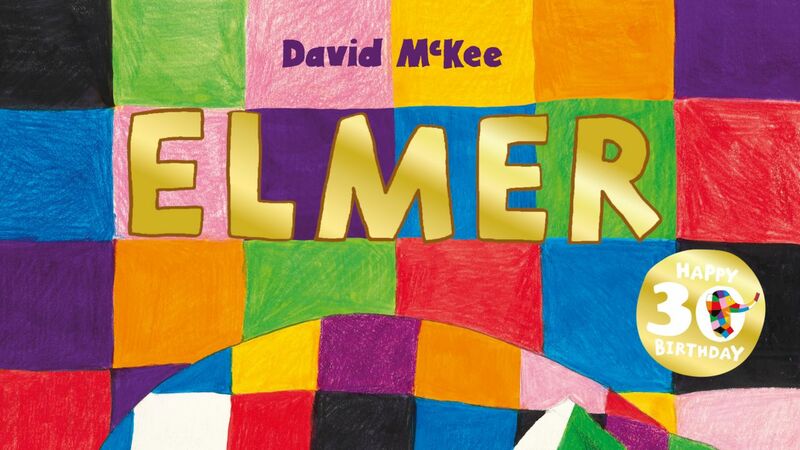 The eleventh book in this Roald Dahl Funny Prize-winning series. Perfect for fans of Diary of a Wimpy Kid, Dog Man, Tom Gates and Pamela Butchart. As far back as Barry can remember, he's always wanted a sausage dog. They're like two of his favourite things (sausages and dogs) squidged together! Who cares if they bark the whole time, do poos everywhere, need three walks every day and stop you going to the cinema with your friends? Not Barry. Until he actukeely gets a real-life sausage dog, that is . . Join everyone's favourite Loser on his eleventh hilarious adventure. Don't miss all the other brilliant books by Jim Smith! Barry Loser: I am not a loser Barry Loser: I am still not a loser (Winner of the Roald Dahl Funny Prize) Barry Loser: I am so over being a loser Barry Loser: I am sort of a loser Barry Loser and the holiday of doom Barry Loser and the crumpled carton Barry Loser hates half term! Barry Loser and the birthday billions Barry Loser: Worst school trip EVER Barry Loser is is the best at football NOT Barry Loser's book of keel stuff Barry Loser's christmas joke book! Future Ratboy and the Attack of the Killer Robot Grannies Future Ratboy and the Invasion of the Nom-Noms (Winner of the Scholastic Lollies Award) Future Ratboy and the Quest for the Missing Thingy Jim Smith is the keelest kids' book author in the whole wide world amen. He graduated from art school with first class honours (the best you can get) and is the author of the Roald Dahl Funny Prize-winning and bestselling BARRY LOSER series and the Lollies Award-winning FUTURE RATBOY series. The ultimate companion to the brilliant Roald Dahl Funny Prize winning BARRY LOSER series. Perfect for readers aged 7+ years old and fans of Diary of a Wimpy Kid, Dog Man, Tom Gates and Pamela Butchart. Barry Loser's Book of Keel Stuff brings the Ultimate Book of Keelness into paperback - with brand new content including jokes, animal mash-ups and a 'Which Loser are you?' quiz. There are also the short stories `Bunky is a Loser' and `My Dad is a Loser', editions of the Daily Poo, a Q&A with Jim from his fans and pages of brand-new superkeel drawing guides and activities. Barry fans old and new will love Barry Loser's Book of Keel Stuff. Don't miss all Jim's other brilliant books! Barry Loser: I am not a loser - 9781405260312 Barry Loser: I am still not a loser (Winner of the Roald Dahl Funny Prize) - 9781405260329 Barry Loser: I am so over being a loser - 9781405260336 Barry Loser: I am sort of a loser - 9781405268011 Barry Loser and the holiday of doom - 9781405268028 Barry Loser and the crumpled carton - 9781405268035 Barry Loser hates half term! - 9781405269148 Barry Loser and the birthday billions - 9781405283977 Barry Loser: Worst school trip EVER - 9781405283991 Barry Loser is is the best at football NOT - 9781405287142 Future Ratboy and the Attack of the Killer Robot Grannies - 9781405269131 Future Ratboy and the Invasion of the Nom-Noms (Winner of the Scholastic Lollies Award) - 9781405269155 Future Ratboy and the Quest for the Missing Thingy - 9781405283984 Jim Smith is the keelest kids' book author in the whole wide world amen. He graduated from art school with first class honours (the best you can get) and is the author of the Roald Dahl Funny Prize-winning and bestselling BARRY LOSER series and the Lollies Award-winning FUTURE RATBOY series. The ninth book in the brilliant Roald Dahl Funny Prize winning BARRY LOSER series. Perfect for readers aged 7-10 years old and fans of Diary of a Wimpy Kid, Tom Gates, Dennis the Menace and Pamela Butchart's Wigglesbottom Primary series. Barry's class are off on a school trip to see a history of television exhibition, which Barry knows will be comperleeterly rubbish. But then he discovers that Future Ratboy (super-keel superhero TV show) is filmed in the same TV studios! All he has to do is find a way to sneak away and find the set . . . Will Barry come up with an amazekeel plan? Will he get to audition for Future Ratboy? Will they get the best seats on the coach?? Join everyone's favourite Loser on his ninth hilarious adventure! Barry Loser: I am not a loser was selected as a Tom Fletcher Book Club 2017 title. Future Ratboy and the Invasion of the Nom Noms is shortlisted for the Lollies Award 2017 Don't miss the other funny books by Jim Smith: BARRY LOSER I am not a Loser I am still not a Loser I am so over being a Loser I am sort of a Loser Barry Loser and the holiday of doom Barry Loser and the case of the crumpled carton Barry Loser hates half term Barry Loser and the birthday billions Barry Loser's ultimate book of keelness Barry Loser's Christmas Joke Book My mum is a loser My dad is a loser Future Ratboy and the Attack of the Killer Robot Grannies Future Ratboy and the Invasion of the Nom Noms Future Ratboy and the Quest for the Missing Thingy Praise for BARRY LOSER: 'Twice as good as my other favourite book, Diary of a Wimpy Kid' Ben, aged 7 years 'Hugely enjoyable, surreal chaos' Guardian 'The review of the eight year old boy in our house . . . Can I keep it to give to a friend? Best recommendation you can get' Observer 'I laughed so much, I thought I was going to burst!' Finbar, aged 9 Jim Smith is the keelest kids' book author in the whole wide world amen. He graduated from art school with first class honours (the best you can get) and is the author of the Roald Dahl Funny Prize-winning and bestselling BARRY LOSER series. He is also the author of the Barry Loser spin-off series, FUTURE RATBOY. He lives in London, and designs cards and gifts under the name Waldo Pancake. Knock knock! Who's there? Barry Loser's Christmas Joke Book Wow! Really? It's snow joke... It's the keelest time of the year, so why not celebrate with this collection of Christmas crackers from everyone's favourite loser? A festive feast of puns, one-liners, cartoons and funny tales, all with a Barry Loser twist. Perfect for sharing with friends and family and best enjoyed when read very loudly at 5am on Christmas morning. All jokes guaranteed to make you snort-laugh a mince pie through your nose*. We wish you a Barry Christmas, and an amazekeel new year! *Any unfunny jokes were written by Barry's dad. Have you read all the Barry Loser books? I am not a Loser I am still not a Loser I am so over being a Loser Barry Loser and the holiday of doom Barry Loser and the case of the crumpled carton Barry Loser hates half term Barry Loser and the birthday billions Barry Loser: I am Not a Loser was selected as a Tom Fletcher Book Club 2017 title. Jim Smith is the keelest kids' book author in the whole wide world amen. He graduated from art school with first class honours (the best you can get) and is the author of the Roald Dahl Funny Prize-winning and bestselling BARRY LOSER series, as well as the superkeel spin-off series, FUTURE RATBOY. Jim lives in London and also designs cards and gifts under the name Waldo Pancake. From the bestselling and Roald Dahl Funny Prize-winning author of Barry Loser comes the third book in the brilliant Future Ratboy series! Perfect for readers aged 7-10 years old and fans of David Solomons, Pamela Butchart, Tom Gates and Mr Gum. When a bolt of lightning hit Colin Lamppost he was zapped millions of years into the future and turned into a half boy, half rat, half TV! With new superkeel powers and a real life sidekick in Not Bird, Future Ratboy was born. In this new adventure, Future Ratboy sees a surprising new side to his enemy, evil Mr X, goes on a journey to the Planet Bin and faces a race against time to find the missing thingy. This laugh-out-loud, unlikely superhero comedy adventure will delight all those that enjoyed Wimpy Kid, Captain Underpants and Jedi Academy. Jim Smith is the keelest kids' book author in the whole wide world amen. He graduated from art school with first class honours (the best you can get) and is the author of the award-winning and bestselling BARRY LOSER series: I am not a Loser, I am still not a Loser, I am sort of a Loser, I am so over being a Loser, Barry Loser and the Holiday of Doom, Barry Loser and the Case of the Crumpled Carton and Barry Loser Hates Half Term. He lives in London. He also designs cards and gifts under the name Waldo Pancake. Scooters, scooters everywhere . . .Do YOU have one? Do you dare?From the illustrator of the award winning Barry Loser series and the author of Dozy Bear and the Secret of Sleep, Where the Wild Mums Are and Where the Wild Dads Went, comes this hilarious picture book about scooters. Drawn in Jim's trademark style this is sure to be a hit with all young scooter riders. The eighth book in the brilliant Roald Dahl Funny Prize winning BARRY LOSER series. Perfect for readers aged 7-10 years old and fans of Diary of a Wimpy Kid, Tom Gates, Dennis the Menace and Pamela Butchart's Wigglesbottom Primary series. It's Barry's birthday and his mum and dad have bought him the amazekeel new gaming helmet he wanted - The Shnozinator 9000! It's the best birthday present ever . . . until his baby brother breaks it and ruins everything. But Barry has a plan: he'll just have to become a billionaire inventor and make enough money to buy another one, before his life is comperleeterly over . . . Join everyone's favourite Loser on his eighth hilarious adventure! Don't miss the other funny books by Jim Smith: I am not a Loser, I am still not a Loser, I am so over being a Loser, I am sort of a Loser, Barry Loser and the holiday of doom, Barry Loser and the case of the crumpled carton, Barry Loser hates half term, Barry Loser's ultimate book of keelness, My mum is a loser, My dad is a loser, Future Ratboy and the Attack of the Killer Robot Grannies and Future Ratboy and the Invasion of the Nom Noms. Praise for BARRY LOSER: 'Twice as good as my other favourite book, Diary of a Wimpy Kid' Ben, aged 7 years 'Hugely enjoyable, surreal chaos' Guardian 'The review of the eight year old boy in our house . . . Can I keep it to give to a friend? Best recommendation you can get' Observer 'I laughed so much, I thought I was going to burst!' Finbar, aged 9 Barry Loser: I am Not a Loser was selected as a Tom Fletcher Book Club 2017 title Jim Smith is the keelest kids' book author in the whole wide world amen. He graduated from art school with first class honours (the best you can get) and is the author of the Roald Dahl Funny Prize-winning and bestselling BARRY LOSER series. He is also the author of Future Ratboy and and the Attack of the Killer Robot Grannies. He lives in London, and designs cards and gifts under the name Waldo Pancake. From the bestselling and Roald Dahl Funny Prize-winning author of Barry Loser comes the sequel to the brilliant Future Ratboy and the Attack of the Killer Robot Grannies! Perfect for readers aged 7-10 years old and fans of Diary of a Wimpy Kid, Tom Gates and Dennis the Menace. When a bolt of lightning hit Colin Lamppost he was zapped millions of years into the future and turned into a half boy, half rat, half TV! With new superkeel powers and a real life sidekick in Not Bird, Future Ratboy was born. In this new adventure, can Future Ratboy and Not Bird save Shnozville from the bitey little insects that are turning everyone into zombies? Will they defeat the evil Mr X? And how will they ever find their way home? This laugh-out-loud, unlikely superhero comedy adventure will delight all those that enjoyed Tom Gates, Wimpy Kid, Captain Underpants and Jedi Academy. Jim Smith is the keelest kids' book author in the whole wide world amen. He graduated from art school with first class honours (the best you can get) and is the author of the award-winning and bestselling BARRY LOSER series: I am not a Loser, I am still not a Loser, I am sort of a Loser, I am so over being a Loser, Barry Loser and the Holiday of Doom, Barry Loser and the Case of the Crumpled Carton and Barry Loser Hates Half Term. He lives in London. He also designs cards and gifts under the name Waldo Pancake. The seventh book in the brilliant Roald Dahl Funny Prize winning BARRY LOSER Loser series. Perfect for readers aged 7 years + and fans of Diary of a Wimpy Kid, Tom Gates and Dennis the Menace. It's only a few days into the half-term holidays and Barry's dad has already had enough of him! He's packing Barry off to Pirate Camp, the same one he used to be sent to every year. Barry's not impressed - he's not a baby anymore, so why should he have to go to a camp for kiddywinkles? But horrible things are afoot at Pirate Camp - it's been taken over by the villainous Morag, and now its future's in doubt. There's only one thing to do: Barry and his new friends Sally Bottom and Renard Dupont have to uncover the hidden treasure of Mogden Island . . . Don't miss the other hilarious books by Jim Smith: I am not a Loser, I am still not a Loser, I am so over being a Loser, I am sort of a Loser, Barry Loser and the holiday of doom, Barry Loser and the case of the crumpled carton, Barry Loser's ultimate book of keelness, My mum is a loser, My dad is a loser and Future Ratboy and the Attack of the Killer Robot Grannies. Praise for BARRY LOSER: 'Twice as good as my other favourite book, Diary of a Wimpy Kid' Ben, aged 7 'Hugely enjoyable, surreal chaos' Guardian 'The review of the eight year old boy in our house . . . Can I keep it to give to a friend? Best recommendation you can get' Observer 'I laughed so much, I thought I was going to burst!' Finbar, aged 9 Barry Loser: I am Not a Loser was selected as a Tom Fletcher Book Club 2017 title. Jim Smith is the keelest kids' book author in the whole wide world amen. He graduated from art school with first class honours (the best you can get) and is the author of the Roald Dahl Funny Prize-winning and bestselling BARRY LOSER series. He is also the author of Future Ratboy and and the Attack of the Killer Robot Grannies. He lives in London, and designs cards and gifts under the name Waldo Pancake. Barry Loser and the Curse of Terry Claus is a hilarious Christmas ebook from the Roald Dahl Funny Prize award-winning Barry Loser series. Perfect for young fans of Diary of a Wimpy Kid, Mr Gum and Tom Gates!When Barry discovers that his mum and dad have failed to get him a superhero Future Ratboy costume (the keelest superhero in the WORLD) he is com-per-lee-ter-ly unimpressed to say the least. In fact, Barry has had enough of Christmas - and he's not the only one. Terry Claus, Father Christmas's smelly and disgusting younger brother is out to ruin Christmas for everyone - and he's taking Barry with him!Don't miss the other books in the series: I am not a Loser, I am still not a Loser, I am so over being a Loser, I am sort of a Loser, Barry Loser and the Holiday of Doom and Barry Loser and the case of the crumpled cartonJim Smith is the keelest kids' book spellchecker in the whole wide world amen. He is also the bestselling and Roald Dahl Funny Prize-winning author of the Barry Loser series and Future Ratboy which published in 2015. He graduated from art school with first class honours (the best you can get) and went on to create the branding for a sweet little chain of coffee shops. He also designs cards and gifts under the name Waldo Pancake. He lives in London.